Why does it seem like time speeds up as soon as October gets here? I can’t believe Christmas is right around the corner, but it is! I created this new Christmas Labels Bundle to help me get ready for all the holiday gift giving. Hopefully it can help you too. The set includes Photoshop templates, digital cutting files and a series of 92 different stamps that coordinate with the tags. The stamps are in both PNG format and as a Photoshop brush set. I tried to create a variety of styles, designs and topics to meet all the needs: gift tags, packaging for homemade baked goods, greeting card sentiments or even focal images for cards. 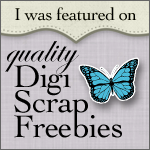 Its Digital Scrapbooking weekend, so everything at the Digichick is 40% off – including this new set. We also have a bunch of fun activities, so stop on by the forum. We would love to meet you! This entry was posted in Cutting Files, Digital Craft Kits, Gift and Home Decor Items and tagged Cutting files, DigiChick on October 31, 2013 by Cathy.